The Clinton River at Yates Park is a very popular destination for kayakers and families alike. Yates Cider Mill is just across the street, there are large open areas for picnicking and recreation, and sections of the River’s edge is perfect for playing in the water. 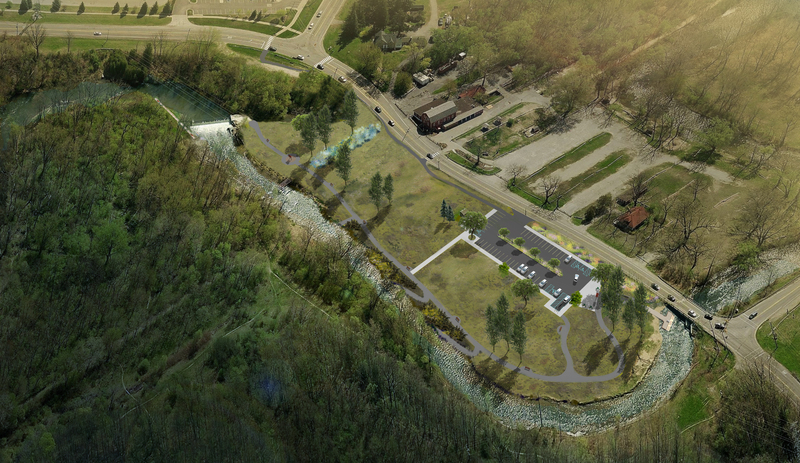 The Clinton River Watershed Council in partnership with the City of Rochester Hills has a vision of making Yates Park and the adjacent river bank universally accessible to everyone. However, the improvements go beyond universally accessible parking, routes, and amenities. 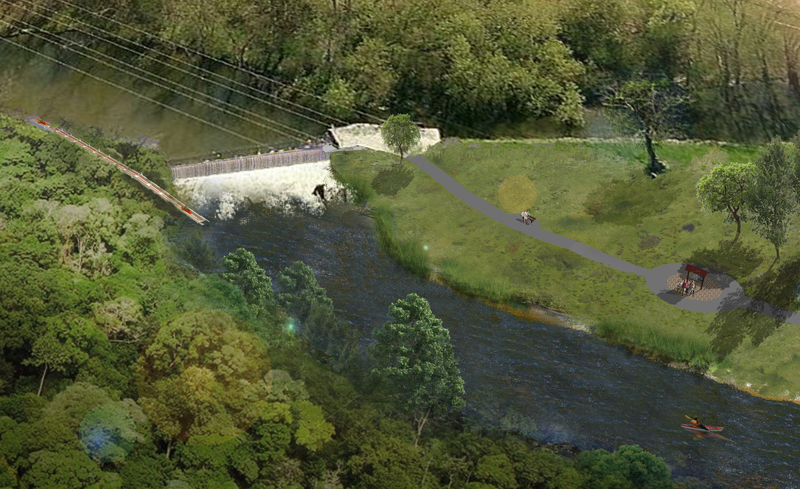 The vision includes universal access to the river’s edge for fishing, accessible kayaking facilities such as an E-Z Launch dock and kayak storage lockers; and the first known “In-Your-Yak” portage system that allows paddlers to bypass the existing dam by exiting the river upstream of the dam and entering the river downstream, beyond the dam – all without ever getting out of their kayak! 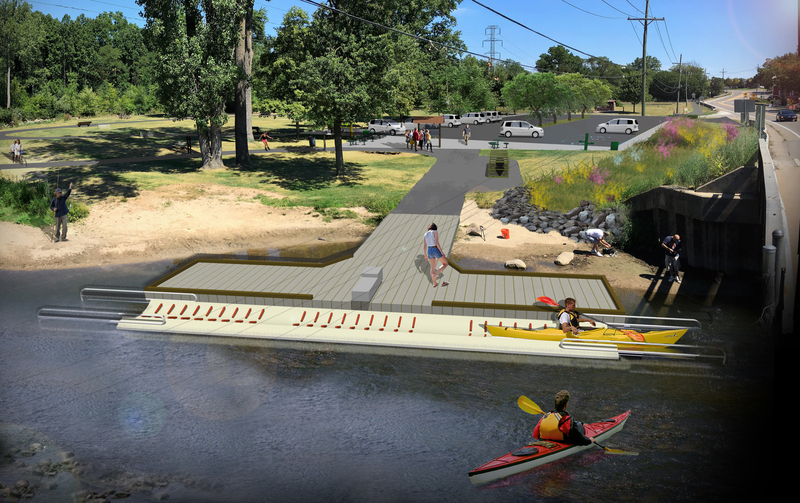 livingLAB was pleased to be involved with the project by facilitating the visioning process, and developing the graphics to help tell the story and allow stakeholders to visualize their project goals of universal accessibility at Yates Park and the Clinton River.